The white grape (also Geisenheim 18-92, Rajhenstajner) is a new breed between Müller-Thurgau x ( Madeleine Angevine x White Calabreser Calabrisi Bianco ), which was released in 2012 DNA analysis was confirmed. The name derives from the castle Reichenstein at Trechtingshausen in the Rheingau. The crossing of the father's place took place in 1939 by Dr. med. Heinrich Birk (1898-1973), the second intersection with the Muller-Thurgau was by Dr. med. Helmut Becker (1927-1990) in Geisenheim (Rheingau) performed. The variety protection was granted in 1978. The variety was crossing partner in the new breeds bolero. Ehrenbreitsteiner. Gamaret. 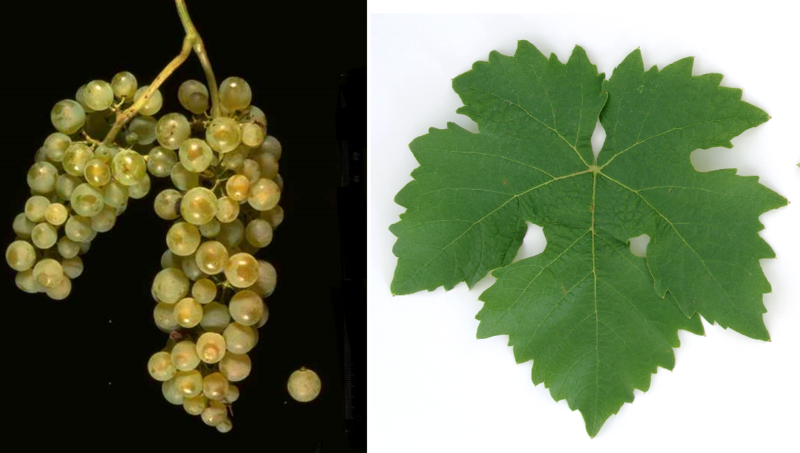 Garanoir and Mara, The early to middle-seasoning vine is resistant to falsification mildew and Botrytis, It produces a flowery, neutral-tasting white wine with moderate acidity. There are stocks in Germany (100 ha), England (71 ha), Ireland. Japan. Canada (5 ha) and New Zealand (72 ha). In 2010, a total of 248 hectares of vineyards were reported (Statistics Kym Anderson ). This page was last modified at 7 April 2019 at 19:51.